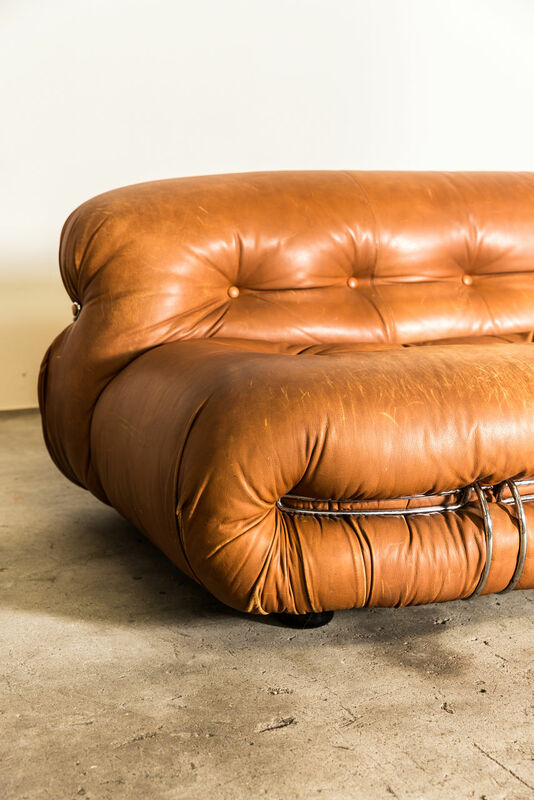 The " Soriana" is an Iconic Italian Design piece. 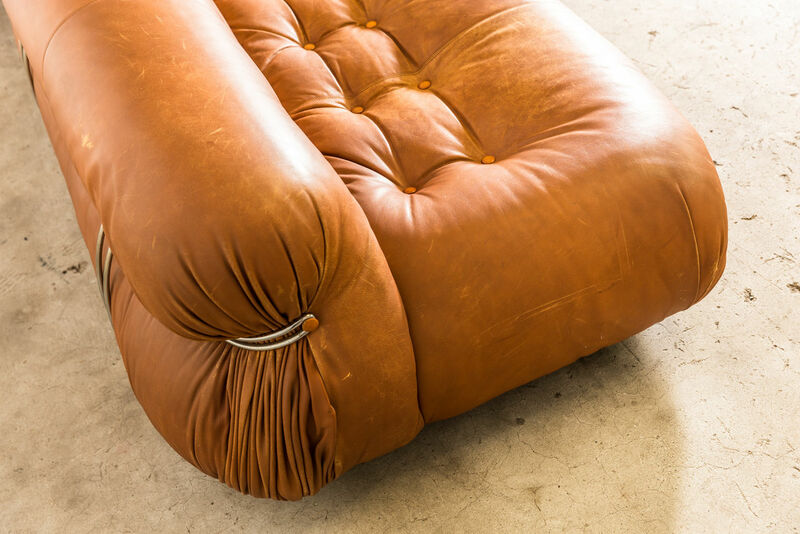 It won the Compasso D'oro in 1969. 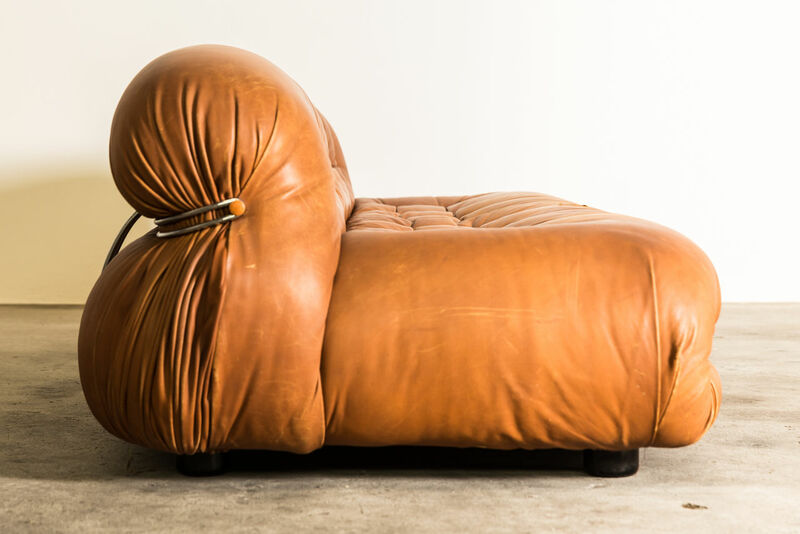 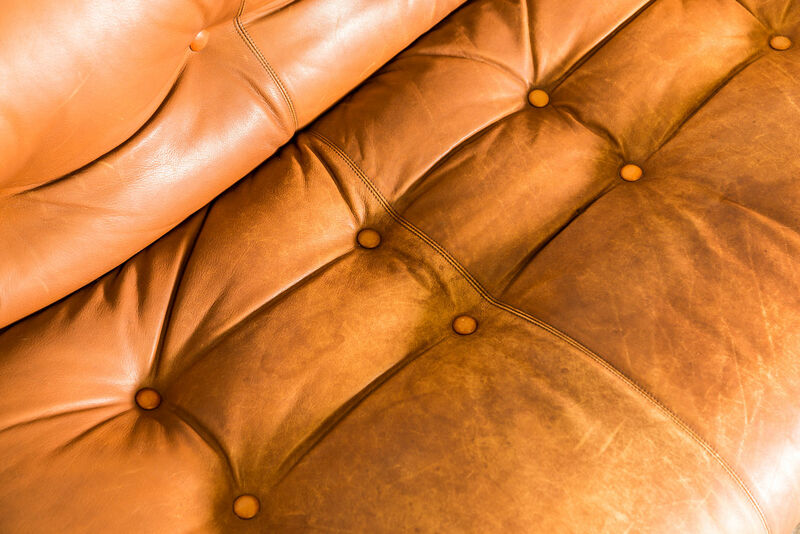 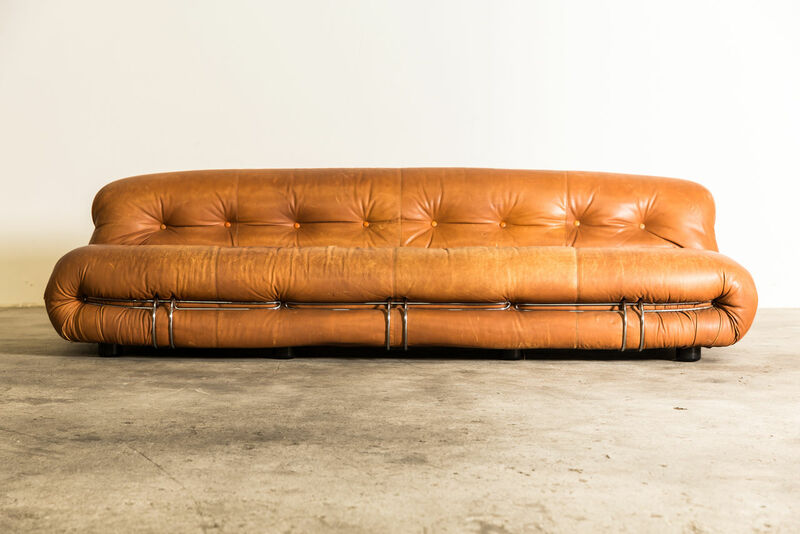 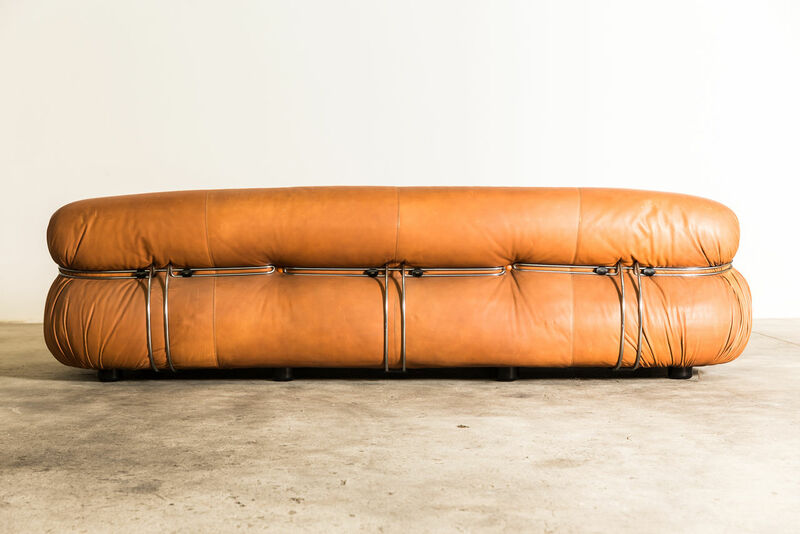 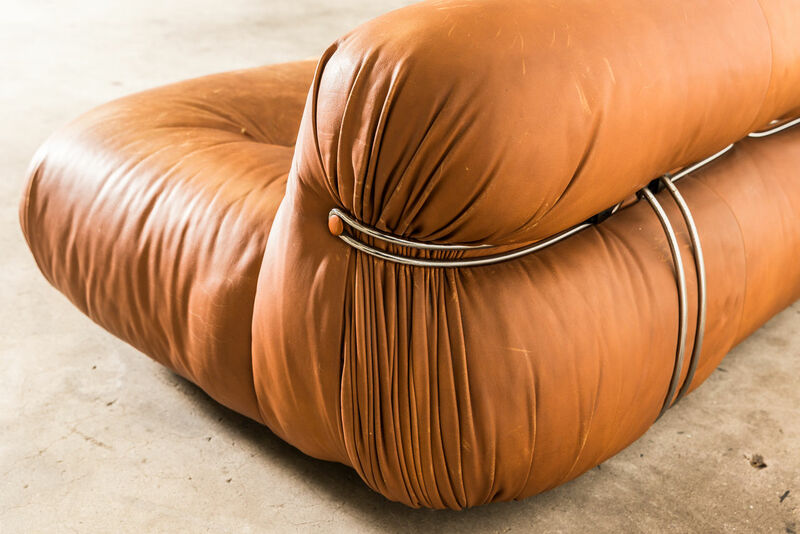 Designed by Tobia Scarpa & manufactured by Cassina in the 1970's, the idea is that to express beauty & comfort by using a whole bundle of fabric or leather held by a steel clamp. 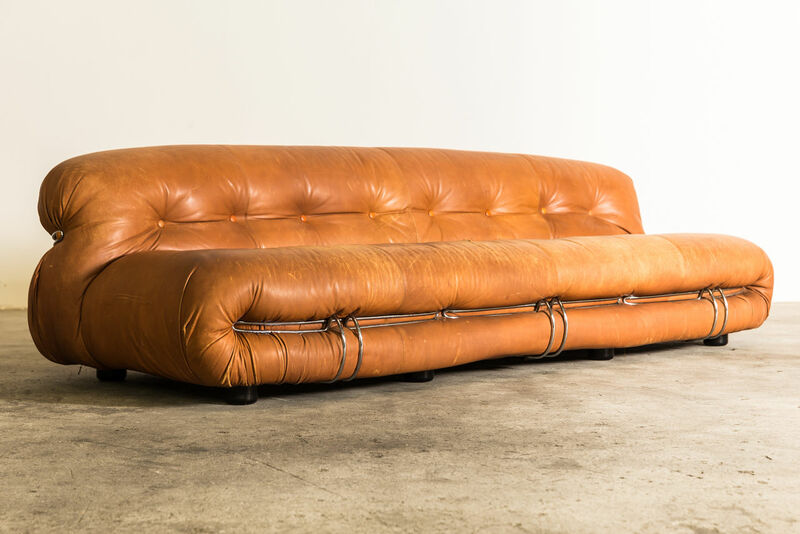 The Soriana Collection is a collector piece and part of the History of Italian Design. 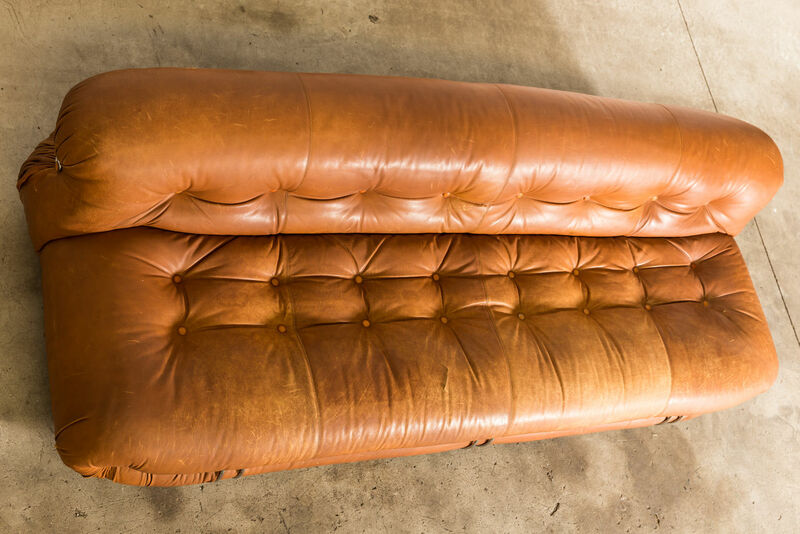 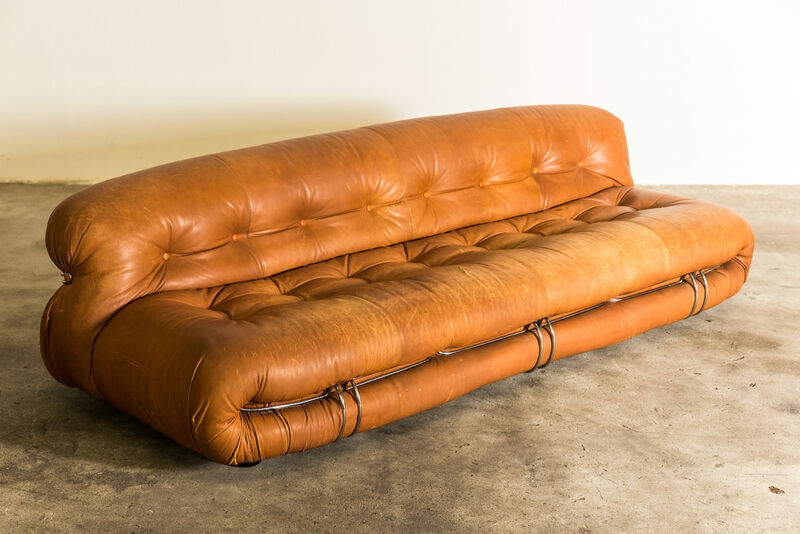 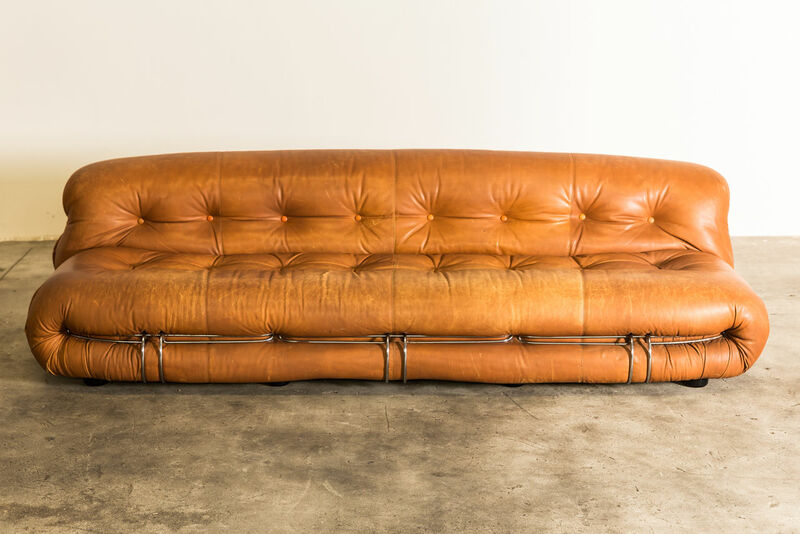 Beautiful Patina on Original leather and wear consistant with its age.